Tours with the Supertones, Relient K, and Pillar have made Sanctus Real *the* band to watch. Guitar-driven rock in the Foo Fighters vein, with strong rhythms and powerful guitars, creates the backdrop for an unambiguous expression of faith. 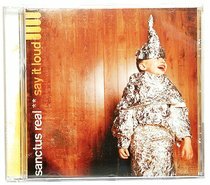 Sanctus Real is an American rock band formed in Ohio in 1996. The group is composed of Chris Rohman (lead guitar), Mark Graalman (drums), and Dustin Lolli (lead vocals).